Second World War at Sea: Islands is one of the coolest things we’ve ever made. It’s a set of extra pieces for use with any Second World War at Sea game: like the name says, these are islands. You place them on the Tactical Map where the scenario instructions tell you to put the island marker. 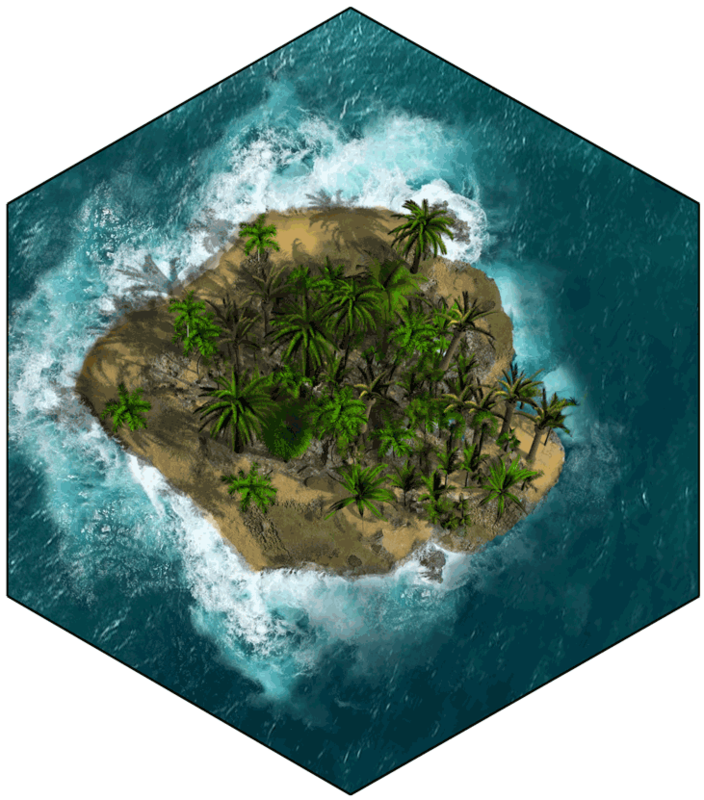 The games come with a small island marker; these wonderful new islands take up the entire hex. There are many kinds of islands, for use in the many places to which Second World War at Sea games take you: jungle islands, forest islands, rocky islands, frozen islands. 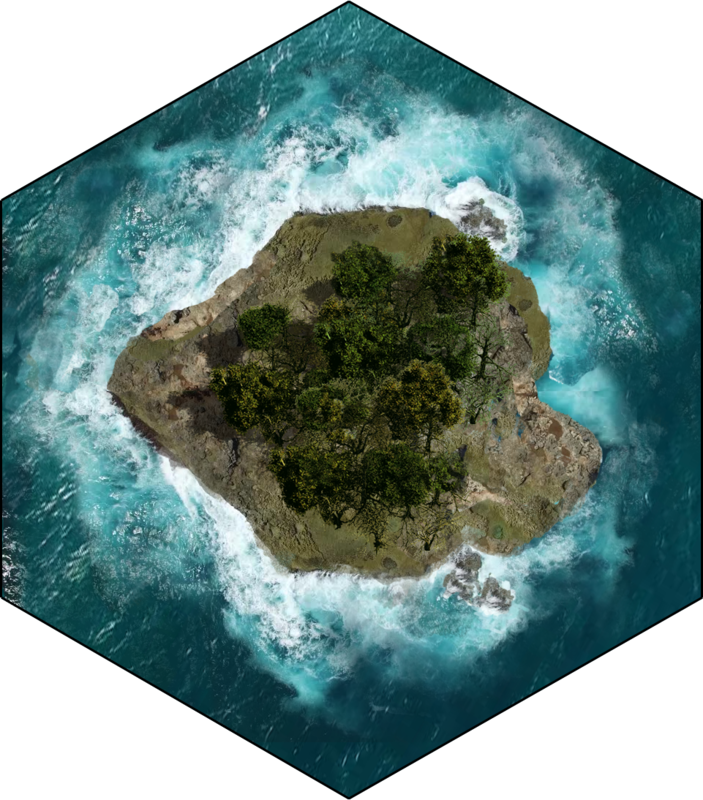 They cover just one hex (which is the usual size of a Second World War at Sea island) and they also cover multiple hexes and strips of coastline. 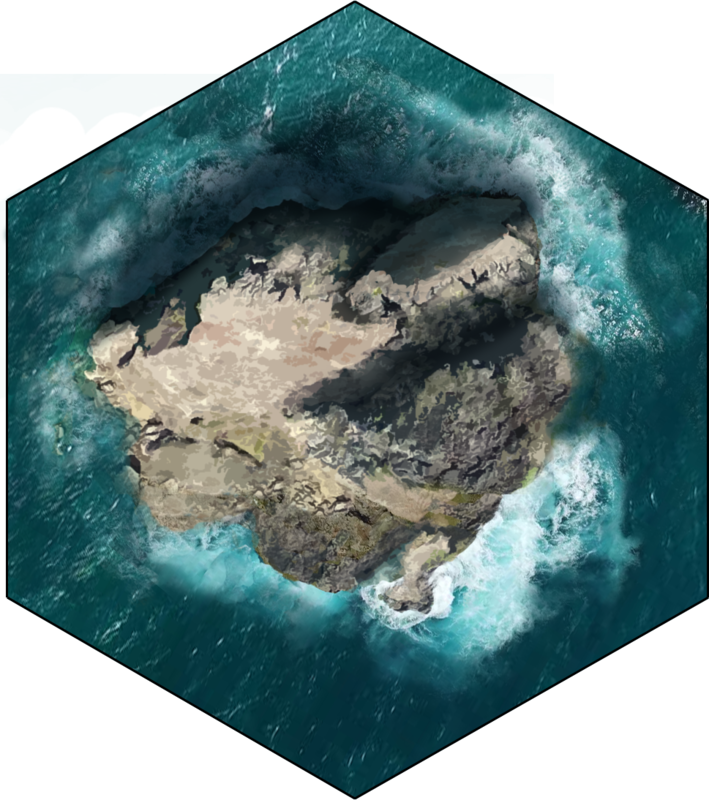 They turn that standard blue Tactical Map into a colorful miniatures table, with islands rising out of the seas. You don’t need these to play Second World War at Sea: you can mark off the islands and coastlines just fine with pennies or quids. But really, do you want your battleships steaming past these glorious jungle-covered islands, or Abe Lincoln’s coppery head? We’re not selling the Islands set – they’re special for the Gold Club only, a special gift that’s part of our SWWAStravaganza rollout of four upcoming new naval games.